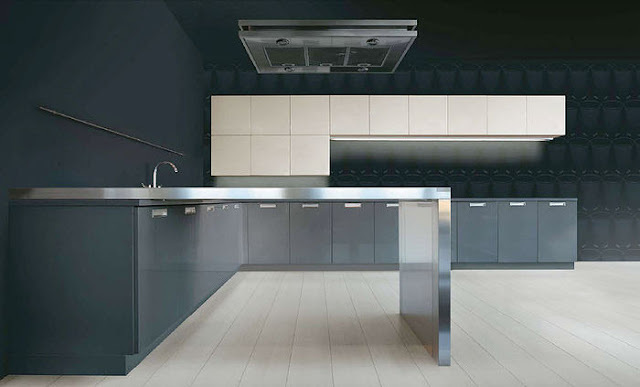 Kitchen Design Think Tank: Ying Yang Concept! This design by MVK Italia shows the power of a simple linear type design. There is no fuss here and the kitchen is not “over designed”! The design displays affection for asymmetry and the unbalanced nature of the door matrix morph the kitchen into a minimal art form. Form and function sit beautifully together and the monotone colours are effectively brightened though the use of stainless steel. If you look at this image long enough you can see that the wall units are counter balanced by the stainless steel peninsula in the foreground with the heavy side of each element mirrored with the lighter side of the other creating a ying yang effect! 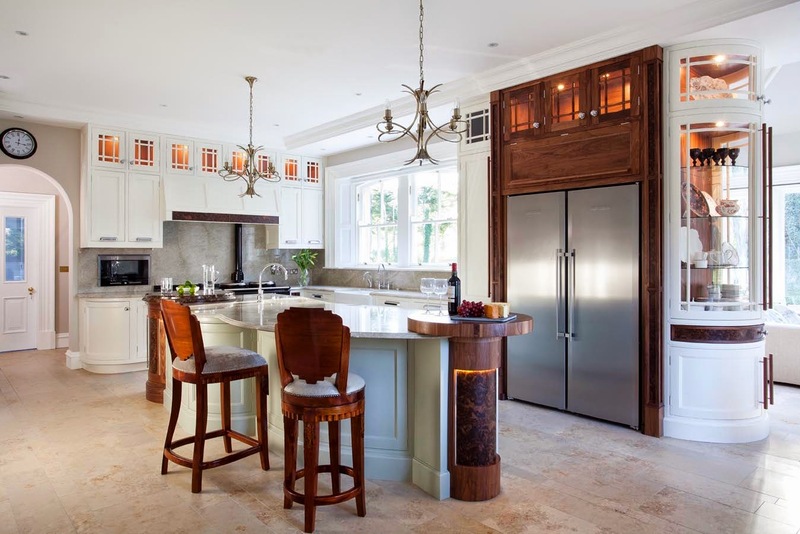 Kitchen or Art - Is there a difference? VIRILE - You know you want one!